The Lake District in England is overlaid with many a poem and book. Ten years ago, when I set foot there for the first (and only) time, it was already familiar, beloved even, for I had been touched by Wordsworth’s poems and delighted by Beatrix Potter’s picture books. Similarly, this month as I baked pumpkin muffins, carved a jack-o-lantern, and enjoyed a pumpkin farm with my boys, thoughts of Too Many Pumpkins by Linda White added another layer of festivity to these moments, making them warmer, brighter. I just couldn’t let October slip by without recommending my favorite Halloween book. 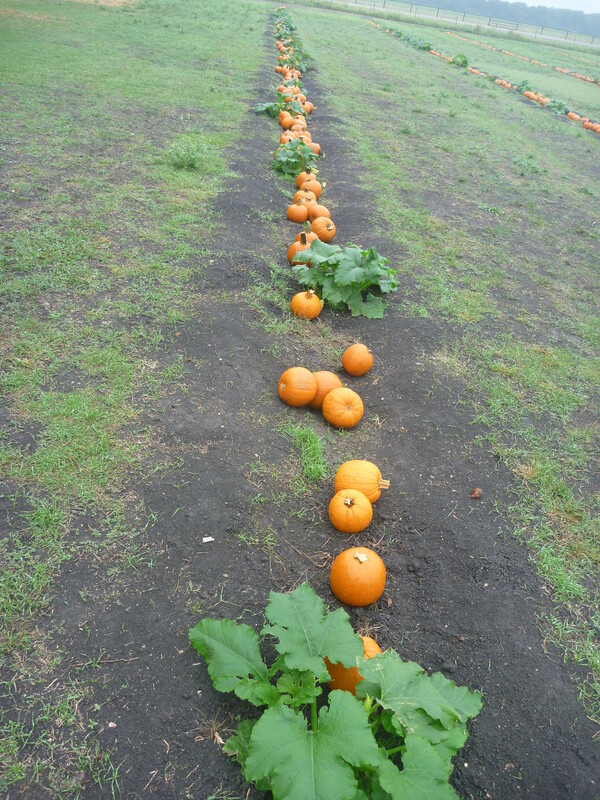 Too Many Pumpkins isn’t spooky. Rather, this is a Halloween story with the spirit of holidays to come: the gratitude, gathering, and feasting of Thanksgiving and the baking and giving of Christmas. A lonely granny who can’t stand pumpkins finally learns to appreciate them after a pumpkin patch springs up in her yard. (I won’t spoil the details.) What else is there to do but bake pumpkin pie, pumpkin muffins, pumpkin “everything” and share the treats with her neighbors? The illustrations by Megan Lloyd are cartoon pumpkin perfection! My oldest son, who shares my affection for this picture book, planted a watermelon vine in his “sandbox garden” last spring, but we’ve decided that next spring, we’re definitely planting pumpkins. I hope you can find Too Many Pumpkins at your library. May it heap an extra layer of joy on your October! 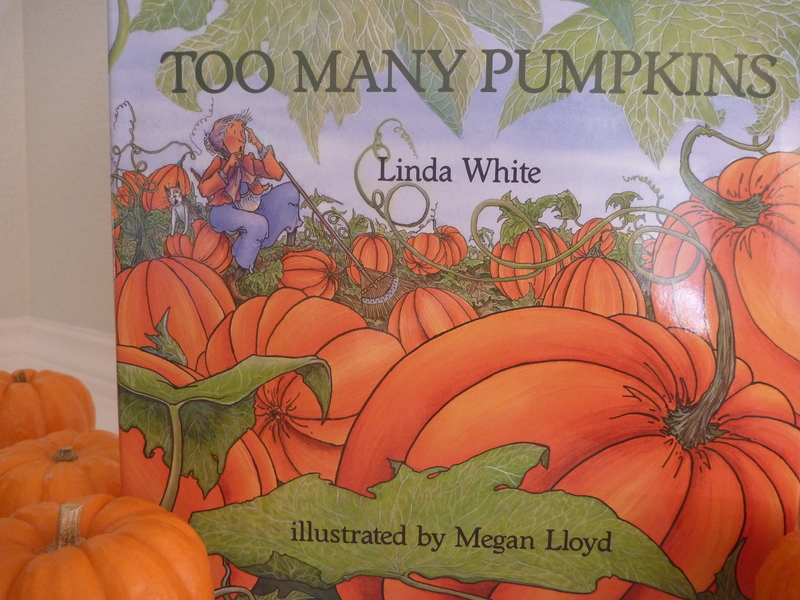 This entry was posted in Treasured Books and tagged children's books, Halloween, pumpkins, Too Many Pumpkins by Linda White. Bookmark the permalink. « Could a Grandfather Clock Improve My Garden?